The IRS Has a Nationwide Organization of Approximately 2,000 Taxpayer Advocates to Help U.S. Individual and Business Taxpayers Resolve Problems. Here’s How It Can Help Advisors and Your Clients. 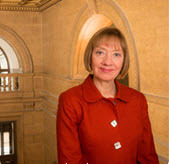 Nina E. Olson is the IRS’s National Taxpayer Advocate. Since 2001, she has led the Taxpayer Advocate Service (TAS), a nationwide organization of approximately 2,000 taxpayer advocates who help U.S. individual and business taxpayers resolve problems and work with the IRS to correct systemic and procedural problems. In this capacity, she reports to Congress annually on the most serious problems taxpayers face in dealing with the IRS and proposes solutions. Recently, she took time to talk to JofA Senior Editor Paul Bonner about her work with TAS and taxpayer issues, especially those of taxpayers represented by CPAs. Here are a number of questions Mr. Ponner asked her. Bonner: For taxpayers represented by CPAs who come to TAS with their problems, what can CPAs do to help their clients’ chances of getting a favorable outcome? Bonner: What kinds of issues should taxpayers and representatives come to you with? Bonner: Why, would you say, is it difficult for the IRS to handle these identity theft and blatant fraud cases? Bonner: How does it affect your own operations when Congress extends provisions late in the tax year, some of them retroactively? Bonner: Let’s talk about liens. Are you seeing effects from the IRS’s Fresh Start relief initiative? Bonner: Many of our members have expressed frustration with correspondence audits. What should they know? Bonner: What do you think is the biggest challenge facing the next IRS commissioner? Read the full piece at the Journal of Accountancy for answers, insight, and more depth.